This U.S. International Health Insurance Company Review will discuss the insurance company known as International Citizens. This company specializes in international travel, medical, and health insurance. Their insurance plans are intended for anyone who is living or traveling outside of their own country. If you would like to search for and compare health insurance quotes right now, just fill in your zip code in the free quote box provided. When you work and live in a country that is not your home country, you need health insurance and International Citizens has a number of expatriate health insurance plans. An expatriate refers to someone who is permanently or temporarily living in a culture and country other than that of their legal residence. One of the health plans offered by International Citizens is the IHHP Health Plan. This is an international health plan that is very comprehensive and provides flexibility in regards to the benefits that you need. The plan is available for anyone; however, you are not eligible if you use an address that is located in the United States on your application. Once you are enrolled, you can receive coverage for life and have no restrictions as to where you live. The IHHP Health Plan includes coverage worldwide with no restrictions as to whom you choose in terms of hospitals, physicians, and specialists. It also gives you full coverage no matter what your job, sports activities, or leisure interests are. It includes accident coverage for terrorists’ acts and chronic conditions are fully covered if diagnosed after you enroll. Global Medical is another international health plan. This plan has four options, which fit any range of budgets. The plan includes coverage up to $8 million and there are flexible deductible options. It includes doctors’ visits and hospital stays. It covers mental health and maternity coverage as well as repatriation and evacuation. Citizen Secure is an international plan that includes coverage worldwide, except for in Canada and the United States. This plan has a policy maximum of $5 million and the deductible options are variable. There is coverage for outpatient services as well as for hospitalization. The plan covers mental health services, prescription meds, pre-existing conditions, and more. 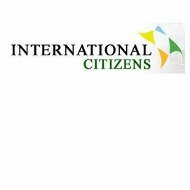 The final health plan from International Citizen is the Global Citizen plan. This is a major medical plan that is meant for people traveling to or from the United States for long periods of time. This plan can cover time periods of a minimum of six months and is a renewable plan for as long as is needed. The Global Citizen plan includes major medical insurance with a policy maximum of $5 million. It covers providers in more than 160 countries, with almost 400,000 providers located in the United States. It includes coverage for mental health and maternity. When you travel, you need to be protected, no matter how short or long of a trip you are taking. International Citizens offers health plans for a single trip, multi-trips, and a range of other plans. The benefits are comprehensive and cover you anywhere as long as you are traveling outside of the country you reside in. Ihi Bupa insurance offers plans that cover trips that are a onetime thing or for annual trips that last 30 days or less. This insurance is good for short-term coverage, and if you go with their annual travel plan, your renewal premium is 28% less your second year. The Atlas Travel plan is ideal for those traveling abroad for a longer length of time. It also includes coverage for multiple destinations and renewal is easy. As part of their travel insurance plans, International Citizens also offers evacuation insurance and trip cancellation insurance. You can feel secure when you insure with International Citizens because it is a strong financial company. The underwriters of the insurance plans include Lloyds of London, Unicare, and ihi Bupa. Lloyds of London is rated A+ by Standard and Poor’s and A by A.M. Best. Unicare is rated A+ by Standard and Poor’s and A- by A.M. Best. Ihi Bupa, which is a company based out of the Netherlands, is rated A2 by Moody’s and A+ by Fitch. This shows that the company is financially stable and has a strong outlook. You can compare health insurance rates internationally or nationally immediately by just entering your zip code on this page where indicated.